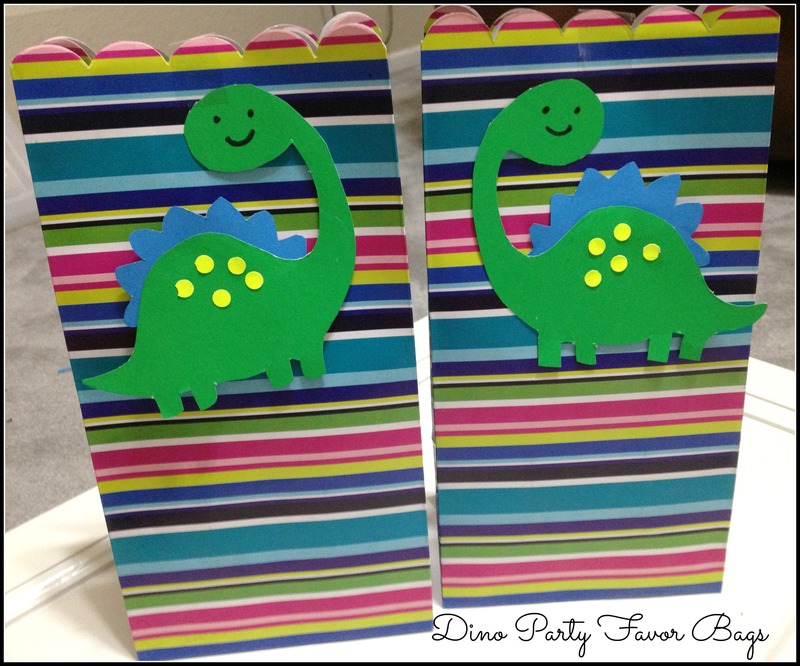 I scored some cute,inexpensive Dinosaur themed stuff at Target ,Partycity and dollar store for the B’day favors and decided to put my own DIY spin on them. 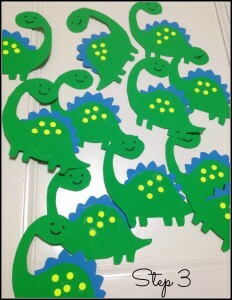 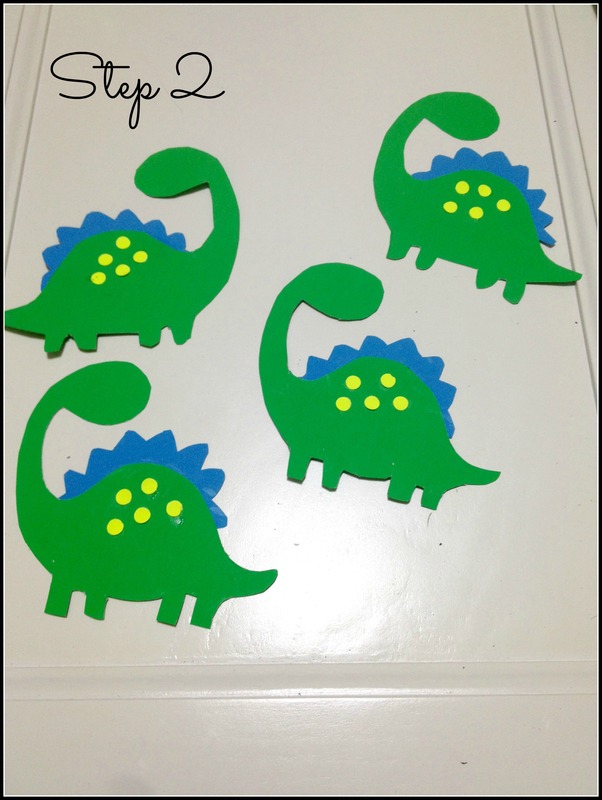 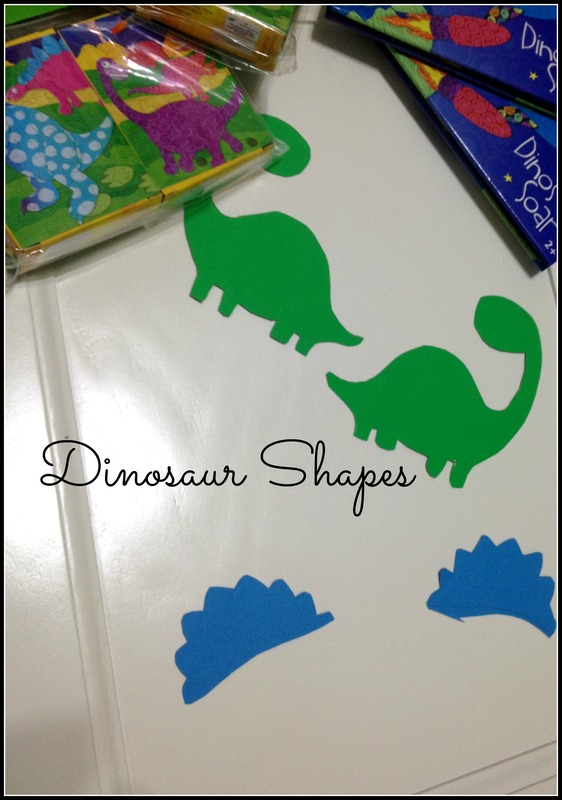 I wanted to make some cute crafty Dinosaurs for all the kids as keepsakes. 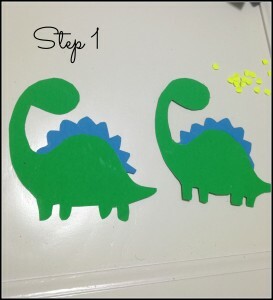 I found a simple Dinosaur picture online and printed it out to trace it on my craft paper, If you don’t have a steady hand,just draw the first one and use that as a template to tarce the rest…It’s as simple as that. 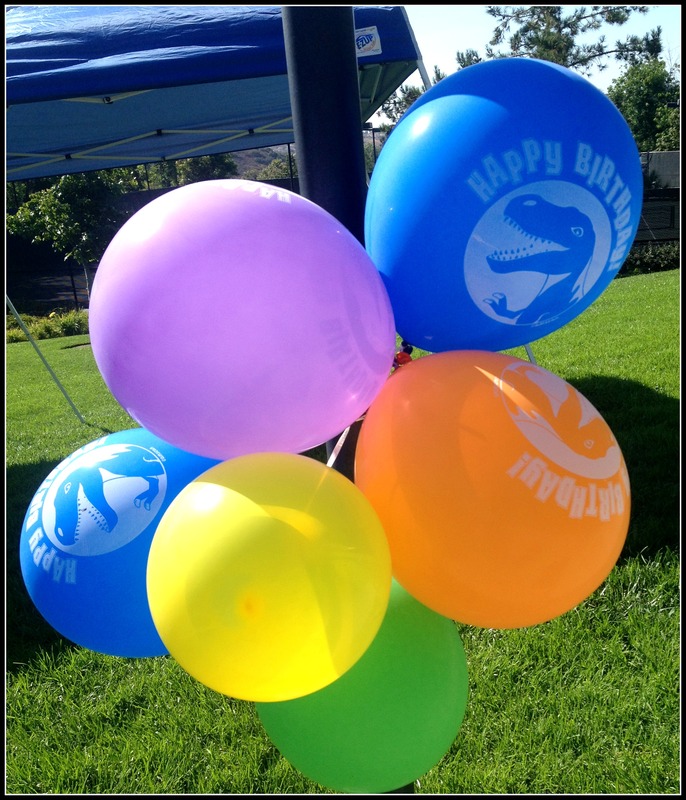 I chose green, blue and fluorescent colors as they go with the outdoor party summer on the lawn theme…we were going with. I took pics of each step to guide you through. I used a black marker to draw a set of eyes and mouth on each of them. 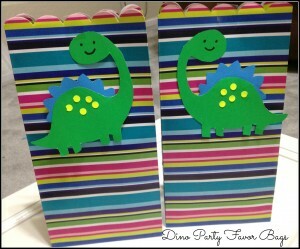 Then I taped my Dinosaurs to the Favor bags ,that way it’s easy for kids to remove them when they want to, without the hassle of tearing them, which will most likely happen if you glue/staple them. 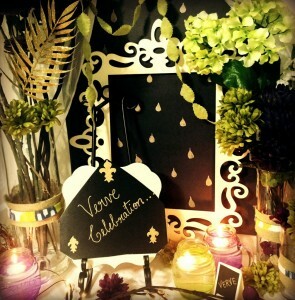 Coming to the favors, I tend to mix and match a lot . 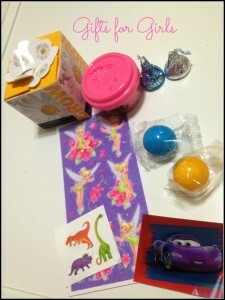 Little Girls got a DIY flower potting kit, play dough, some candy, gum balls and bright stickers . 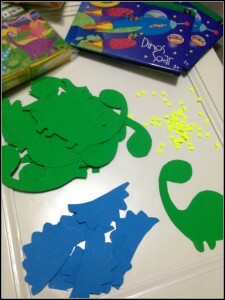 Little boys got a Dinosaur puzzle instead of a flowering kit and the rest of the stuff was common. 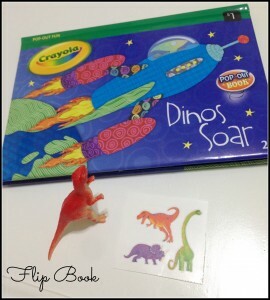 We had few infants on our guest list and I gave them these fun , bright and animated Flip books from Target( they were 1$ each). I bought a dozen Dinosaur figurines and tattoos from Party city for about 3$ and used them as fillers for the favor bags. 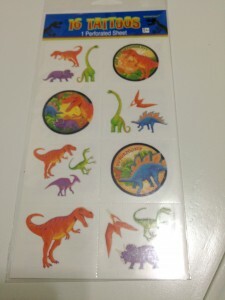 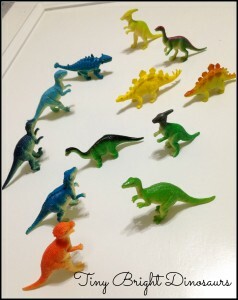 Everbody got a dinosaur figurine and some Dino tattoos. I made some of the Dinosaurs facing left and some to the right on purpose ,so that I can easily differentiate the bags when I’m handing them out…The ones facing left were for boys and those facing right were for girls. 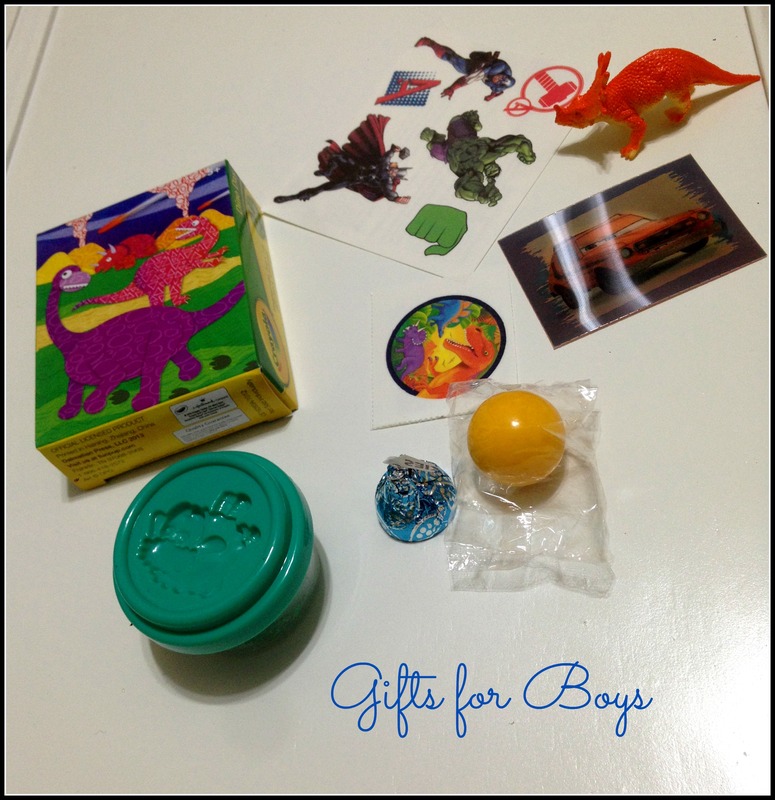 For under 20$,I had managed fun favor bags with a customized Keep sake gift and a bag full of curiosities for the little guys. 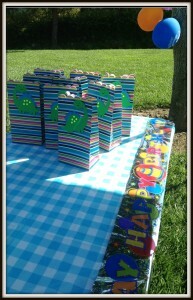 We also had some fun, Dinosaur Birthday balloons to keep up the mood and they were a huge hit with the kids. 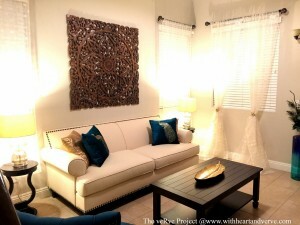 I will be back soon with another blog post related to some major blog announcements!!! 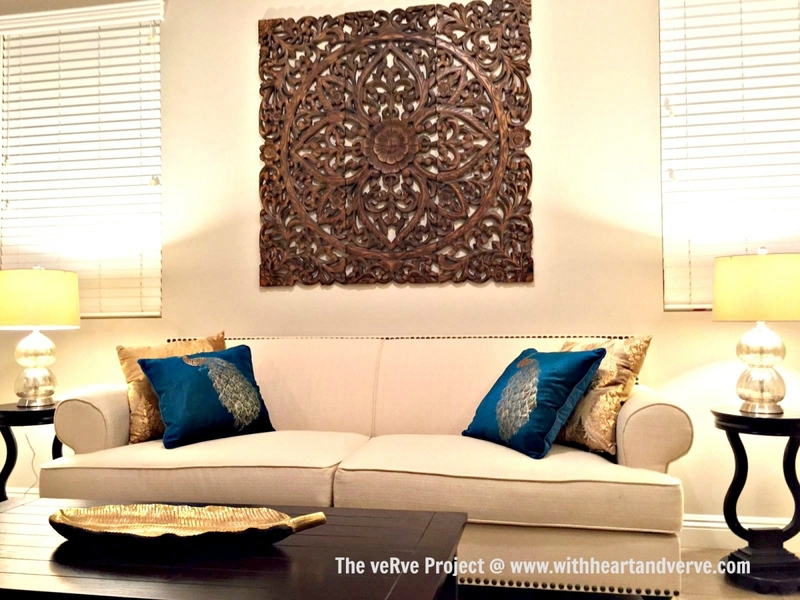 Have a great rest of the week…. 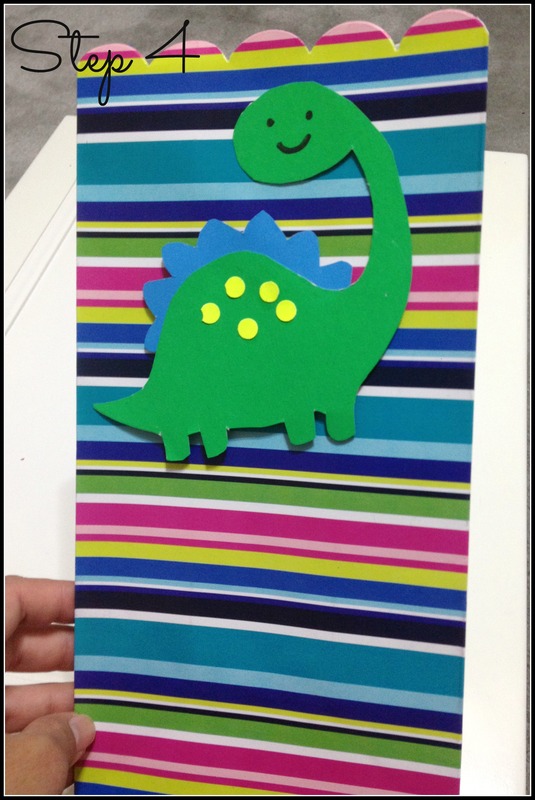 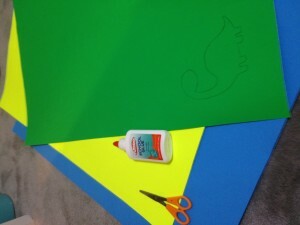 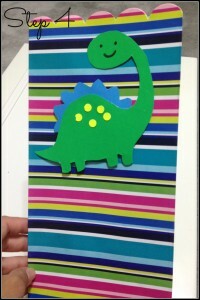 This entry was posted in DIY under 10$, DIY,art,crafts etc.. and tagged 3rd birthday, Birthday party favor bags, crafts, DINO, Dinosaur party theme, DIY, DIY dinosaur, kids party, Party favors for kids.